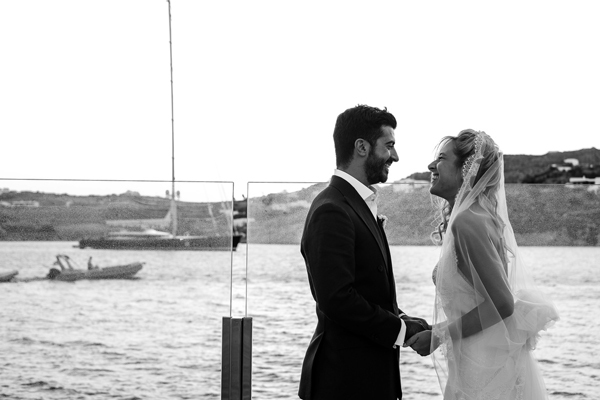 Anna and Beppe had a dreamy wedding in Mykonos. 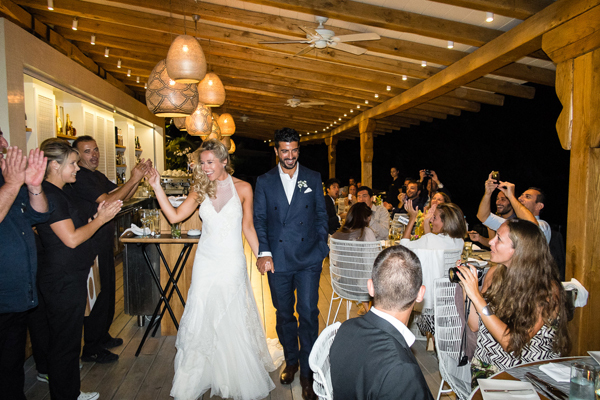 The couple met in college and the wedding proposal happened during a romantic trip in Zanzibar. 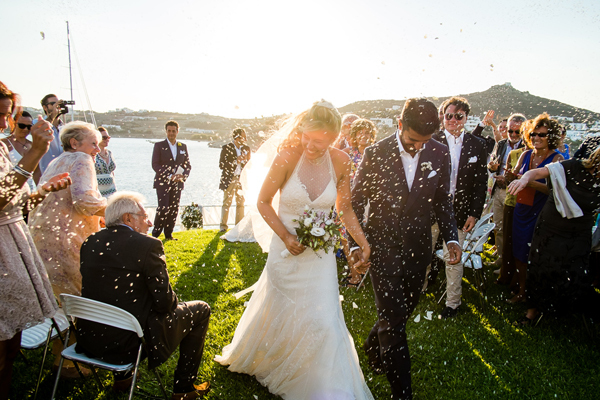 ” That was the beggining of the most beautiful days in my life”, Anna told us. 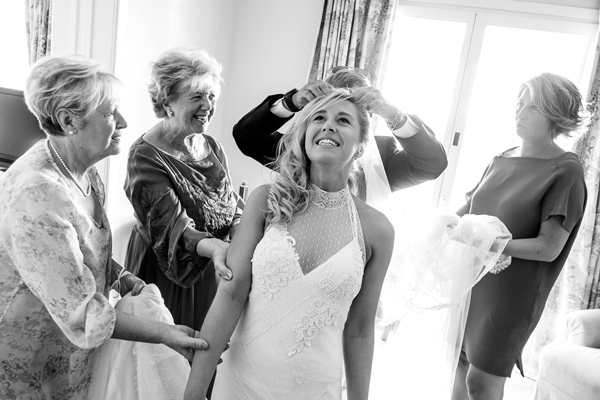 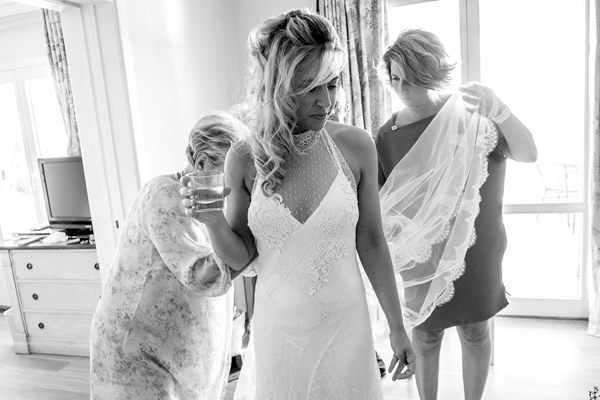 Anna’s mother was actually the one that found her stunning wedding dress! 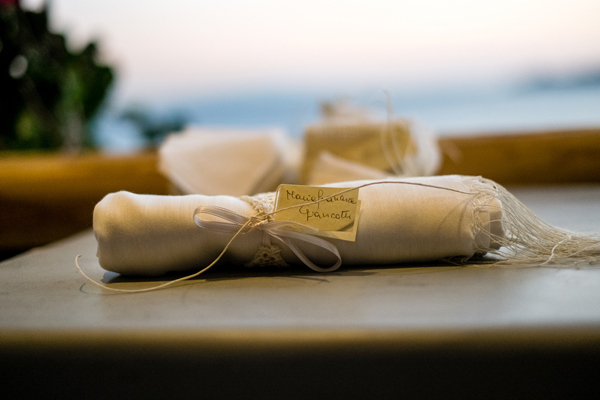 “One day, as my mother was passing by a famous shop in Brescia, she noticed a dress and she immediately called me and said: “I have found it! 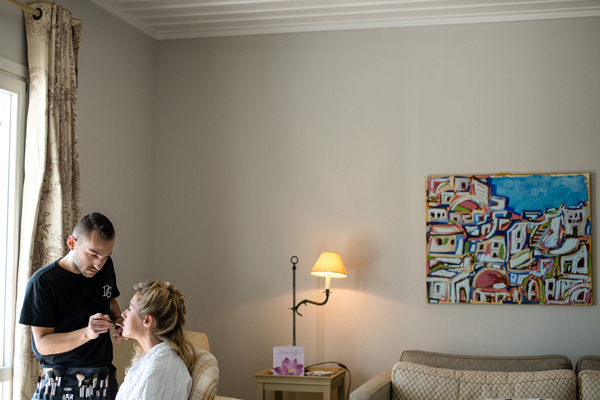 Can I make an appointment for you?” My answer was yes! 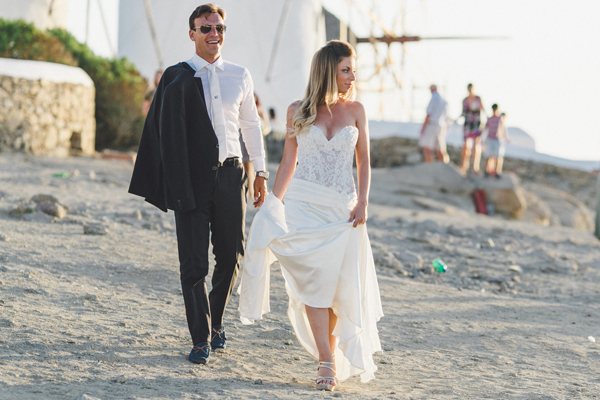 A week later I was wearing THE dress.” Anna’s romantic wedding dress was an impressive creation by the Spanish designers of YolanChris. 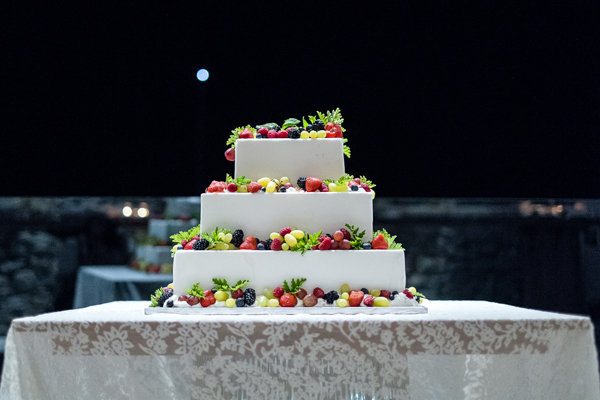 As for the luxurious wedding decor, wedding planner Stella from Stella & Moscha told us: “ The bride wanted to use a mixture of flowers to create a rustic multicolored ambiance. 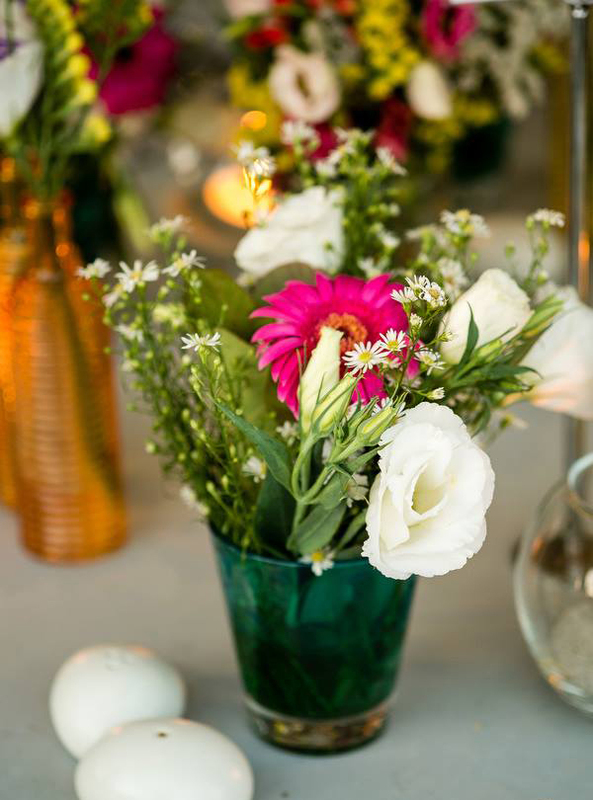 We used a mixture of seasonal flowers in purple, orange, yellow and fuschia that looked like we just picked from the garden . 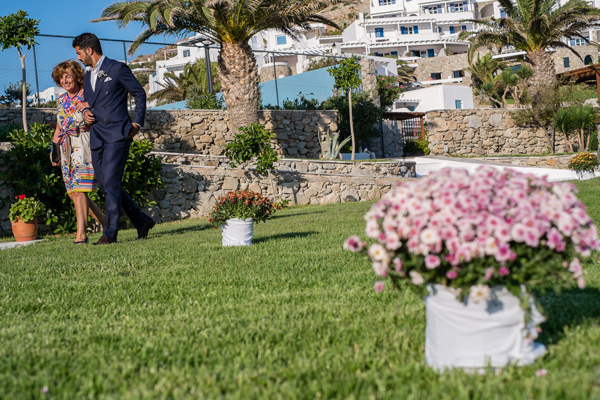 We used Lemonium, Alstromerias, lysianthus, oleander on the tables and in the bridal bouquet. 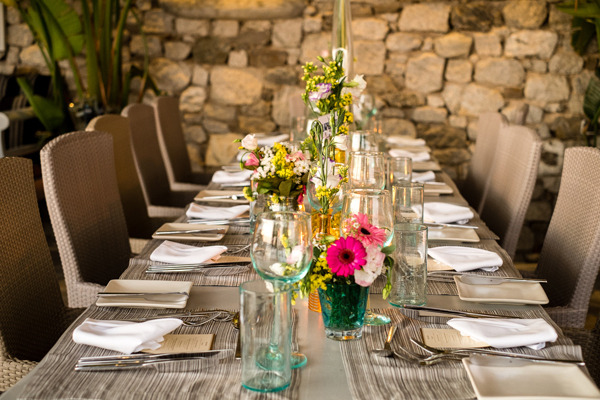 We sourced bottles in yellow, orange and aqua blue for the table flowers whilst all tables were named after a Greek Island”. 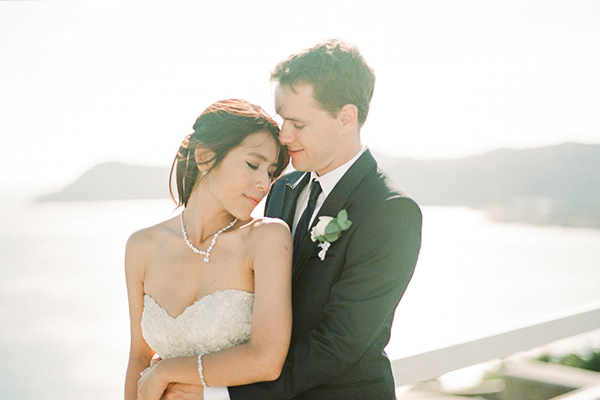 Anna shared her advice on planning a destination wedding: “If you want it… just do it. 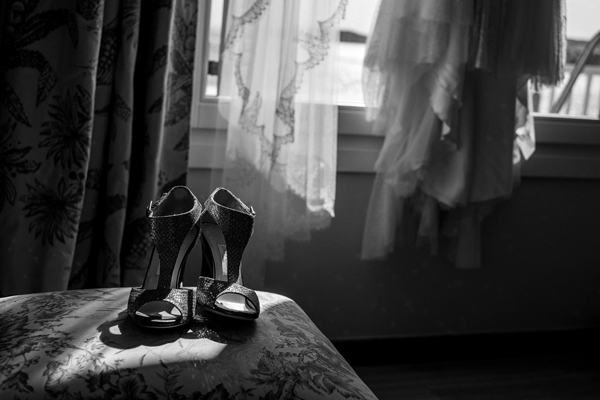 It is easier than what you would expect. 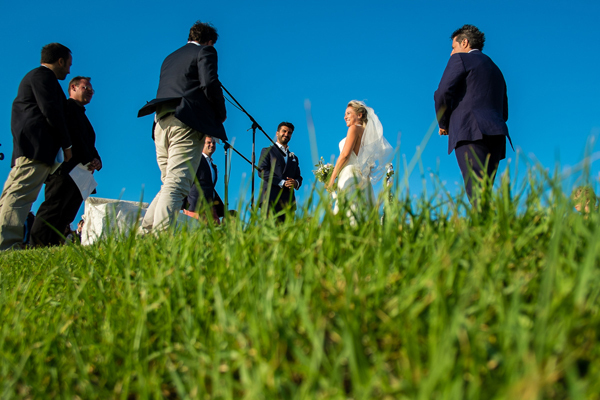 However, it is necessary to have a person that understands perfectly what you have in mind and finds a way to make it happen. 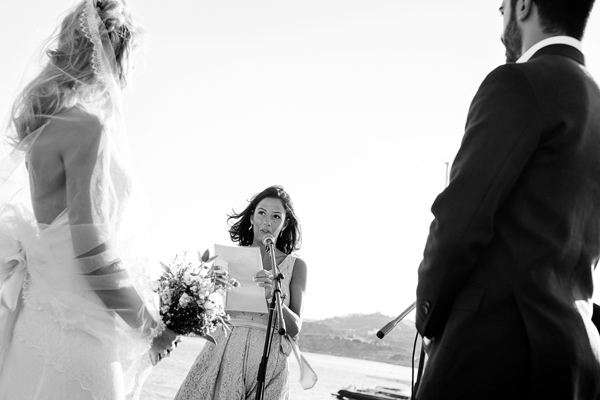 For me that was my wedding planner Stella. 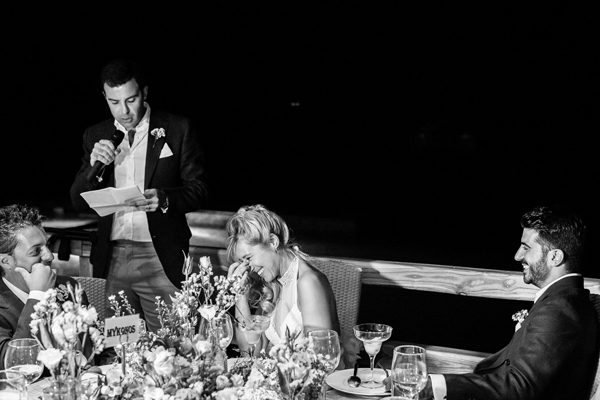 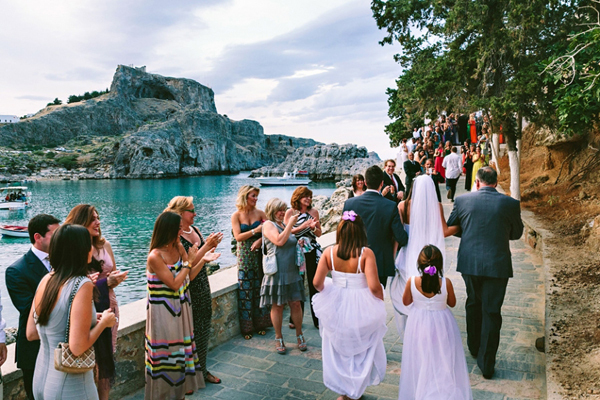 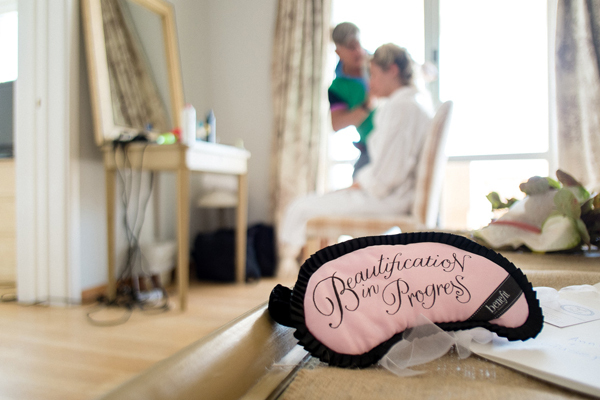 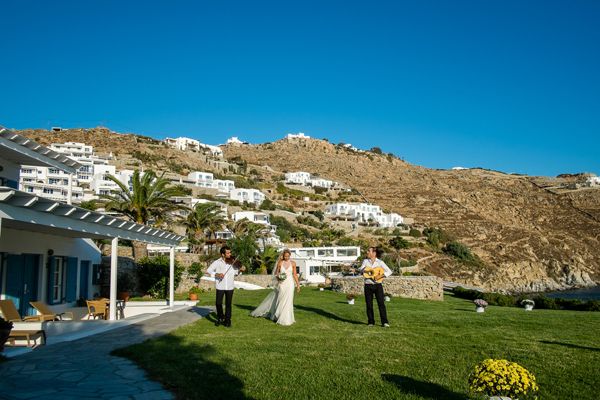 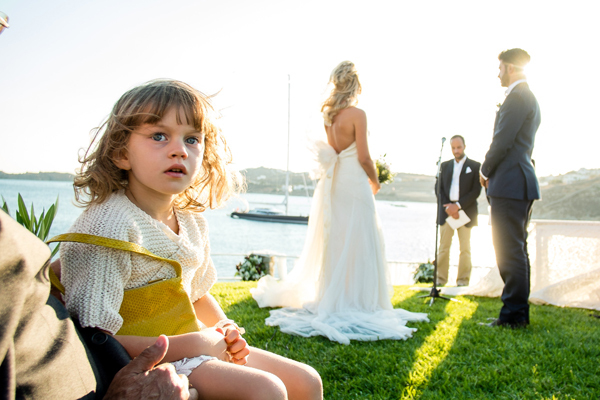 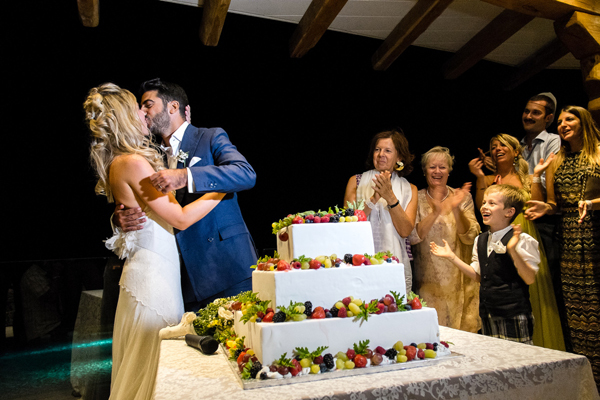 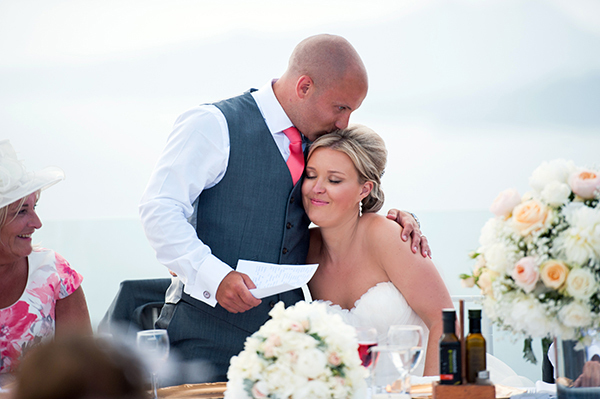 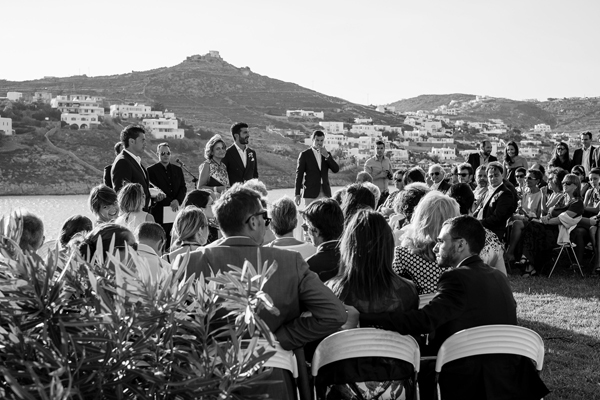 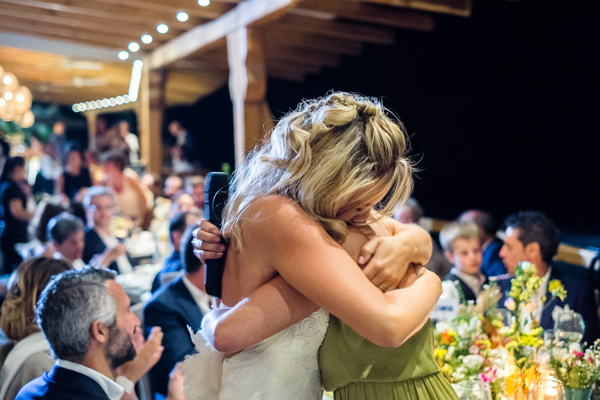 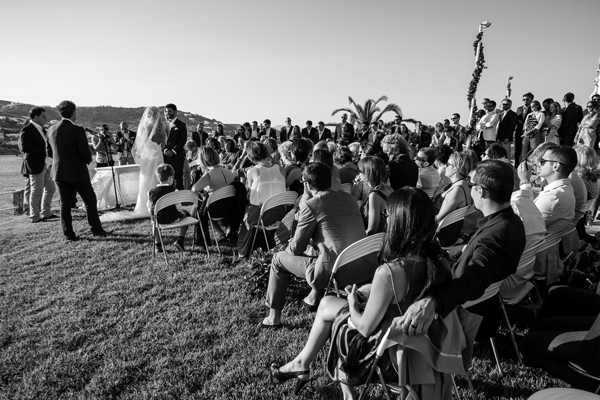 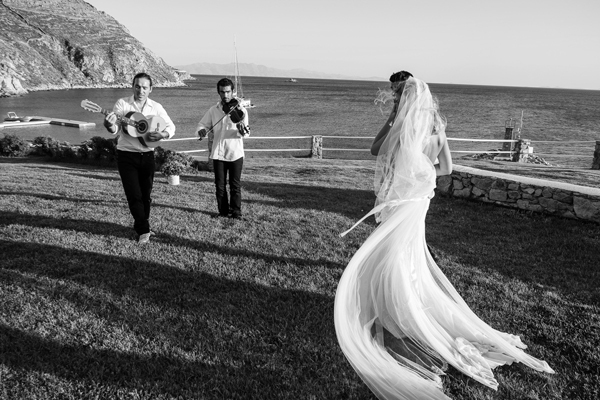 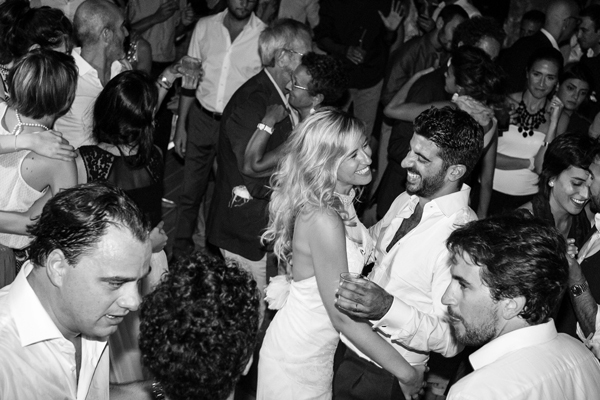 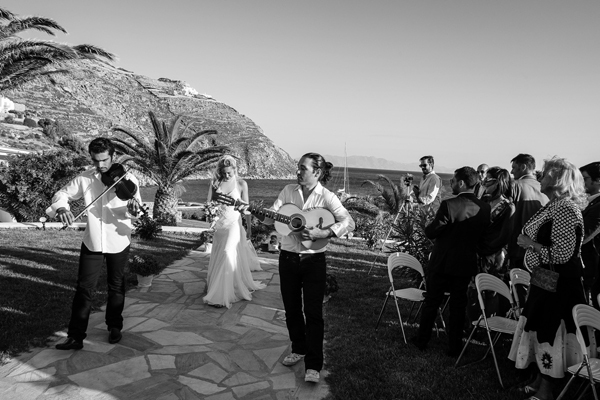 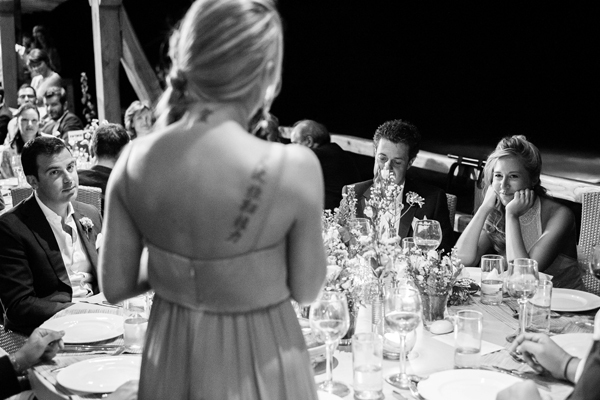 She really helped me make my wedding in Mykonos come true…”. 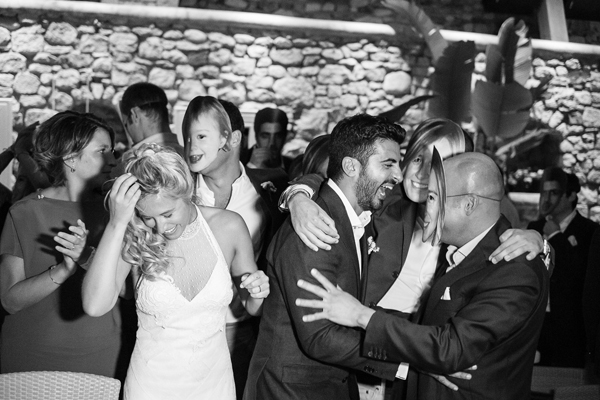 Highlights of the evening were when the guests, as a suprise during the wedding speeches, wore masks made of childhood photos of the bride and groom. 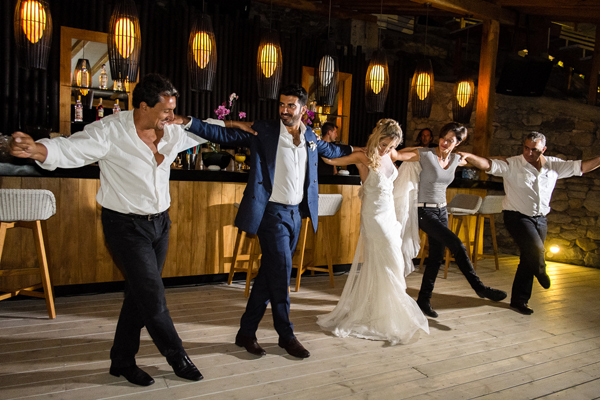 Then… Greek Dancers really kicked off the party with local island dances! 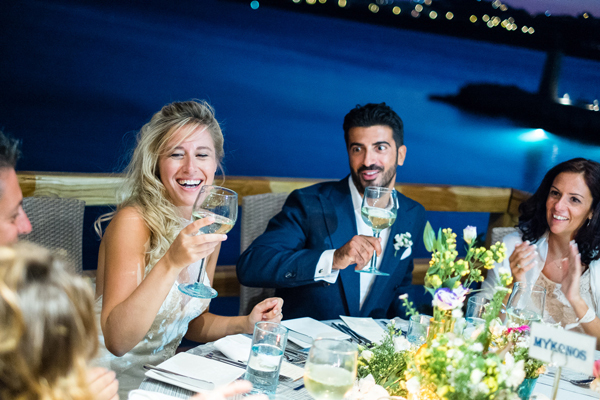 Don’t miss all the touching moments of this romantic italian wedding in Mykonos and all the fantastic wedding decor details in this wedding video teaser by WedFilm Studios!